Here's a secret: you don't have to go vegan to eat and love vegan food. Eating plant-based meals is more popular than ever before, and it can be challenging for those who are new to vegan dining to know how to get started. With straightforward, satisfying recipes, our book will ensure that you delight in your animal-free meals, whether they happen once a month or three times a day. 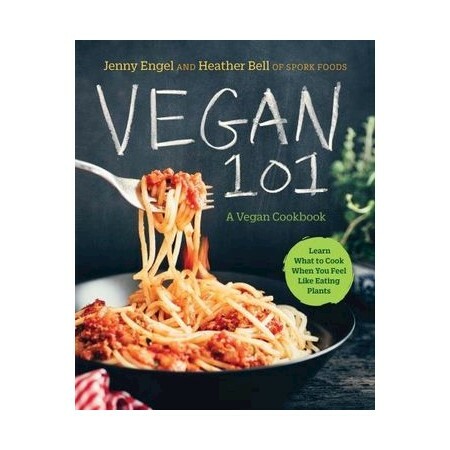 Vegan 101 includes: 101 totally reliable recipes that highlight the ease of vegan cooking Recipes in each chapter that offer three flavor variations on popular standard recipes (for example, Tofu Scramble, or Dinner Salad) Handy two-page spreads that offer specific tips on how to best cook vegetables and grains Take It From Us: advice from prominent, long-time vegans on enjoying vegan food"